Full Gallery links are coming! 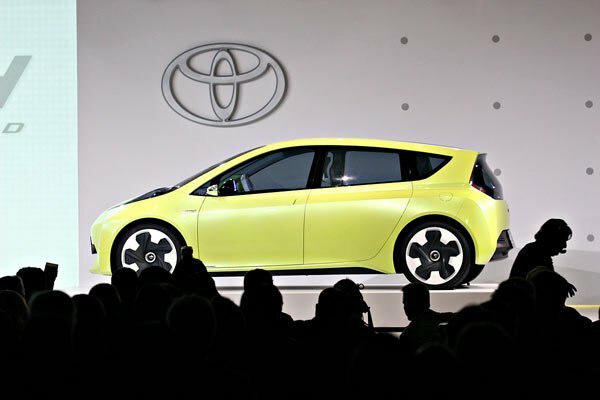 “Imagine a world,” the soft-spoken, rather anonymous man from Toyota said, “where you wake up to find that every car has disappeared.” His meandering, rather confused speech, which touched on everything from fuel cells to “Super Mario 3”, was simply a roundabout way to introduce a junior Prius. Nevertheless, the concept of a world without cars was clearly on everyone’s mind this week. 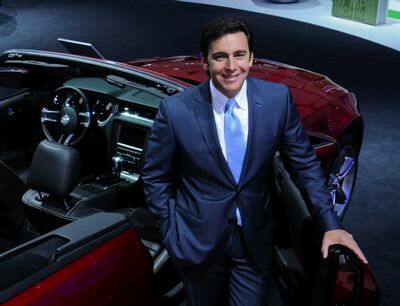 The twin spectres of an energized Brussels and a pressure-sensitive Obama administration made NAIAS 2010 the least product-oriented Detroit show in recent memory. It’s worth noting that, although the auto industry was suffering near-unprecedented turmoil last year, there was enough product in the pipeline to keep things interesting. What we are seeing now is the aftershock of the financial earthquake. The three performance-oriented introductions — CTS-V Coupe, Mustang 5.0, and Regal GS — were permitted to sink beneath the waves of endless battery-powered concepts and we-swear-this-hybrid-badge-is-legit pretenders like the Volkswagen NCC. The companies which are receiving government aid clearly feel compelled to pander to the panjandrums’ demand for alternative powerplants, while the ones which aren’t are afraid to display even a smidgen of exuberance. Ford went so far as to schedule an enthusiast-media intro for the fabulous new five-liter ‘Stang weeks before the actual show, presumably to avoid having to reveal a four-hundred-and-twelve-horse car before the oh-so-judgmental eyes of the mainstream press. Take the GMC Granite — please. Is anybody asking for a pint-sized GMC? Are consumers interested in a vehicle which stretches GMC’s already ill-defined brand-image that far? If there are any such consumers, they are likely sitting behind a desk in Washington, D.C. Perhaps the men at the Renaissance Center are afraid that GMC will not be permitted to operate freely unless the requisite three thousand pounds of compact flesh are publicly sacrificed. Across the aisle, the impressive Cadillac XTS Platinum was self-consciously described as a plug-in. Does anyone seriously believe that the next full-sized Cadillac will be delivered as a plug-in? This is Soviet-era thinking, dressing up the unacceptably luxurious in state-approved low-power togs and hoping for the best. Carl Modesette: The thought hit me somewhere along the lazy, post-rush-hour, 12-mile drive home from picking up the 2009 Challenger SRT-8: “This may be the last fun car Dodge, as we know it, ever makes.” It’s not exactly the kind of thought that cheers you up, but, as Barney Stinson so wisely admonishes on How I Met Your Mother: “When I get sad, I stop being sad and be awesome instead.” And how to be awesome instead in a 425 horsepower car? Drop 3 gears and flatten the accelerator, of course. We put 617.3 miles on the CC VR6 Sport over the course of our 3-day trip to the Austin/San Marcos area, averaging 24.1 mpg at an average speed of 47 mph, according to the trip computer. Certainly not bad overall, considering the 18/27 mpg ratings on the sticker, with a 21 mpg combined figure. No matter how you figure it, the cavernous 17+ gallon tank will allow at least 300, if not 400+ miles before refueling is required; meaning that your frequency of pit stops will be driven entirely by the volume of your own bladder. On the highway, the CC cruises smoothly and effortlessly at 80-90 mph; you really do need to be attentive to the speedometer to avoid the speed tax from Johnny Law. Since we at SSL tend to adhere to the “when driving German cars, drive like the Germans do” mentality, we certainly spared no throttle angle on this trip – but we think it wouldn’t be tough to achieve the quoted 27 mpg highway figure with a more lawful pace.